In Part-1 of this series, we discussed about the advantages of operating an eCommerce business both from business as well as customer’s point of view. However, there are some challenges as well. eCommerce challenges, in a way present opportunities for business owners to improve the ongoing process of online marketing. Not everything is a bed of roses when merchants decide to start their own online store using any eCommerce solutions. 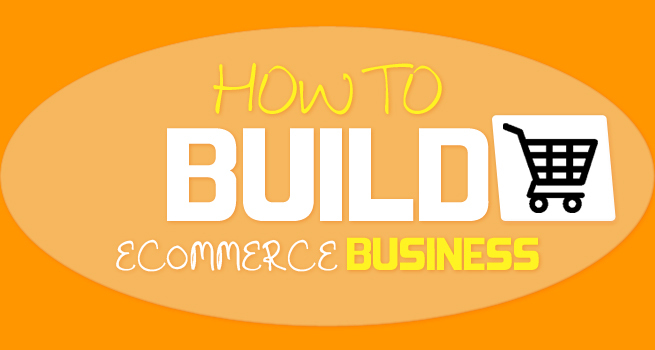 Here are 4 major challenges that business owners normally face while operating eCommerce shops. When it comes to maintain trust, there are a lot other important factors regardless of a crude website layout or an appealing logo. These factors do not build trust between your website and the customers. Here I have discussed about some effective strategies that can be used to build trust and establish a relation with your customers. 1- Social proof is a huge trust builder. When you get positive feedback from people who interact with your business, get their permission to use them as testimonials on your website. Add credibility by providing their name and location along with their comments. 2- You can also encourage referrals by providing some people to refer others for your business. 3- Publish your contact details by using a postal address, landline number or mobile number. If visitors can see a way to contact you, it will give them a sense of knowing that your business actually exists. 4- Be factual with things you say. If you make claims about what your products can do or the quality of your service, make sure you can back those up in real life. If you quote statistics or research that is relevant to your services, be sure to proof that information by providing links to the website where you actually found them. The idea of maintaining trust can sometimes sound very non-specific, however above mentioned points will definitely help you to ensure that your website portrays you as a trustworthy, honest and reliable company to deal in with. It has been observed that eCommerce businesses that utilize social media platforms like Facebook and Twitter to market their business get benefited with increased online reputation and brand awareness. With the use of these platforms, your business is likely to create a brand identity in a scheduled time period. These platforms help you to reach a potential market exponentially. Besides there is an increased level of customer service seen with social media sites. In short, it is easier to engage your audiences and communicate with them via social media platforms. If your eCommerce business is not optimized with social media marketing, 2015 is the year to take on that challenge. Smart phones and tablets have completely revolutionized eCommerce. As per the research conducted by Tesco, more than a third of its online grocery orders were made using mobile phones. According to Adobe 2013 Digital publishing Report, 55% of tablet owners and 30% of smartphone users already use their device for shopping. Whether its about purchasing a new product or gathering information related to product and user review, smart phones and tablets are the ones that are more preferred. As per the above data collected, it is necessary to ensure that your website is optimized for mobile devices. Taking this challenge as a measure of improvement, will help your business capture the mobile device market speedily. Content Marketing is one of the great ways to market your business online. A good content marketing plan works well only if it is implemented effectively. Blogging, Newsletters, Article marketing and Press releases are different forms of content marketing but before running any of these for your brand promotion, you will have to understand which one of these actually fits your business. These tactics are still being experimented to be used in eCommerce businesses. According to Marketing Profs research, creating engaging content is the greatest challenge for a majority of marketers. Based on the present eCommerce competitive market, I have been able to identify these 4 challenges applicable to most cases. Utilizing elements like having a mobile optimized website that incorporates SMO/SEO techniques along with an effective content marketing plan is definitely going to outshine your business on the web, boost your reliability and rank your website in search engines. Whatever strategy an eCommerce business owner might employ for operating business online, these 4 factors are really going to be the central points for consideration. Despite this, businesses these days need to be coming up with innovative ideas to overcome hurdles for running a store successfully online. This is all about eCommerce challenges. In the next part, we will present some important areas that need special care while setting up an eCommerce store. Till then, keep implementing these ideas to face any challenge coming for the next season.